Once again the crew at One Fun Photobooth brings another new fun experience to the area with flipbooks. 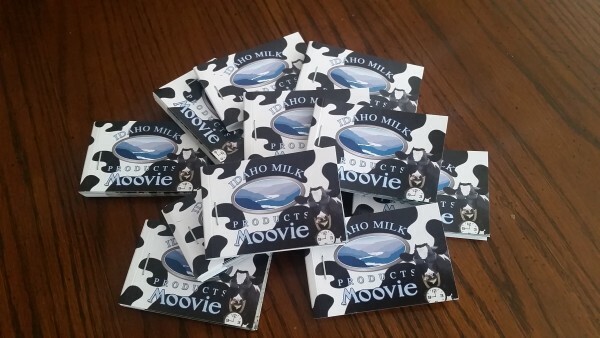 The Idaho Milk Product people stepped away from technology and back to a simpler time when they walked away with a photo flipbook created just for them at their 2015 employee picnic. Always innovative and guaranteed to put a smile on your face, One Fun Photobooth created what was coined a “Mini-movie that fits in your pocket” for anyone that was brave enough to step in front of the camera this last Saturday in the Jerome park. With the use of the latest in high tech, OFP manufactured these awesome low tech flipbooks that will be a fun keepsake passed down for generations. Take a look at these mini movies then picture them in book form.